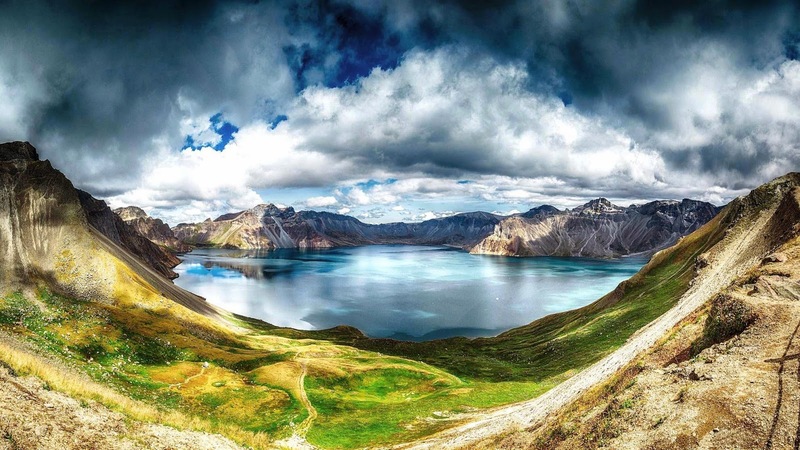 The beautiful Heaven Lake is actually a crater lake situated on the border between China and North Korea. 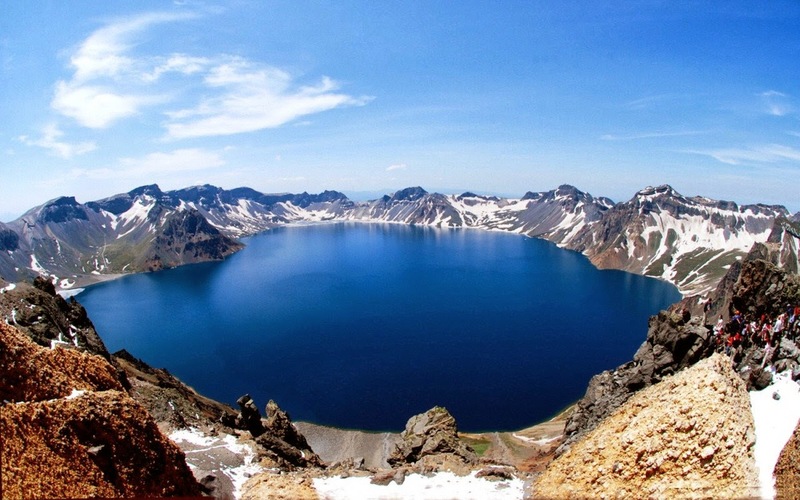 It lies within a caldera atop the volcanic Baekdu Mountain, created by a major eruption in 969 AD. 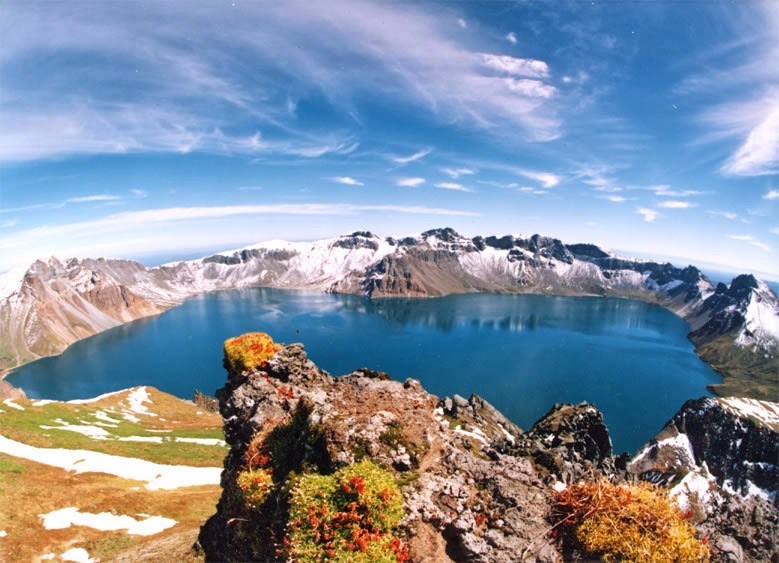 Heaven Lake is like crescent shaped water area deserves its name pearl of Heavenly Mountain with melted snow as its source, containing crystal water, and ideal place in summer. 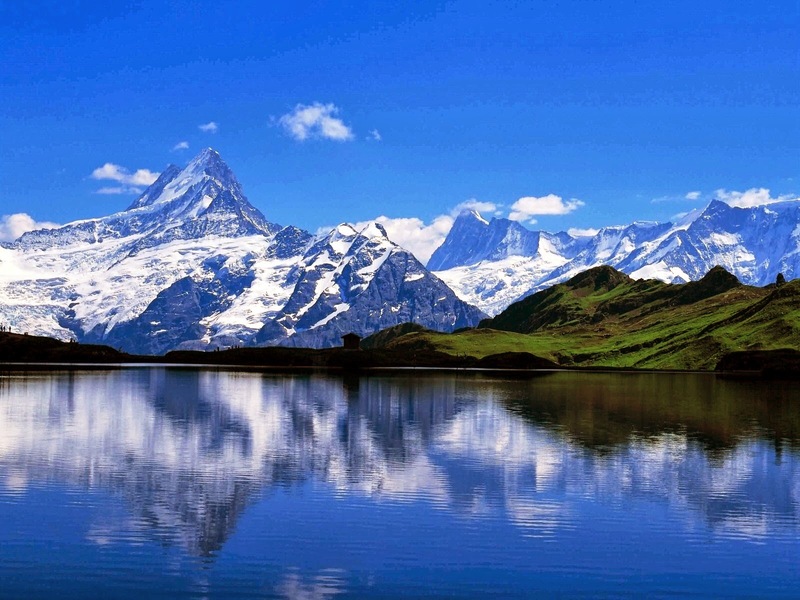 The lake is very peaceful and magical and tourists can go for strolls on the mountain paths and the more athletic can hike or ride a horse up to the glacier plains where the scenery is simply stunning. 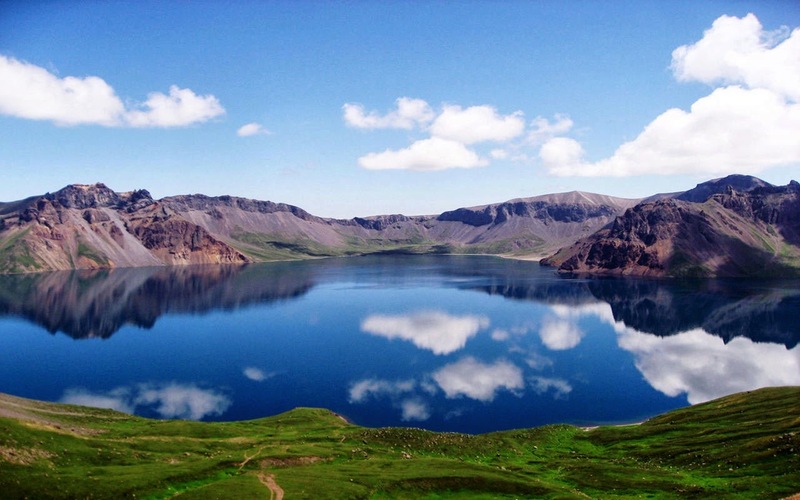 Heaven Lake has a surface elevation of 7,182 ft, and covers an area of 9.82 km2 with a south-north length of 4.85 kilometers and east-west length of 3.35 kilometers. The average depth of the lake is 699 ft and maximum depth of 1,260 ft. From mid-October to mid-June, it is typically covered with ice. 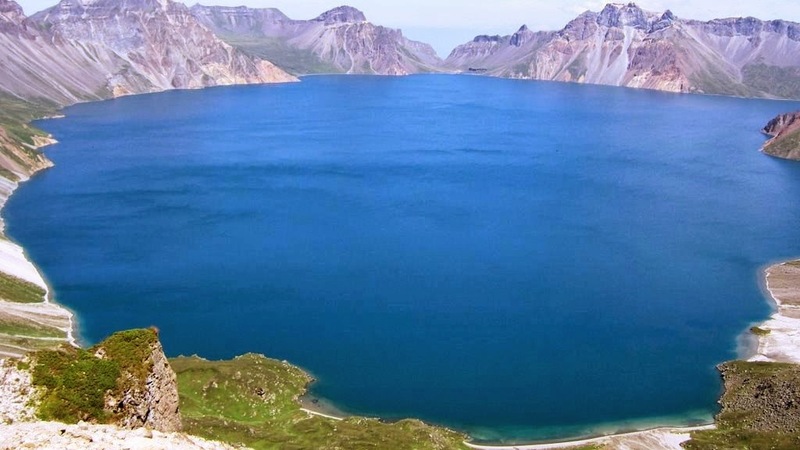 In North Korean legend, Kim Jong-il is claimed to have been born near the lake on the mountain. 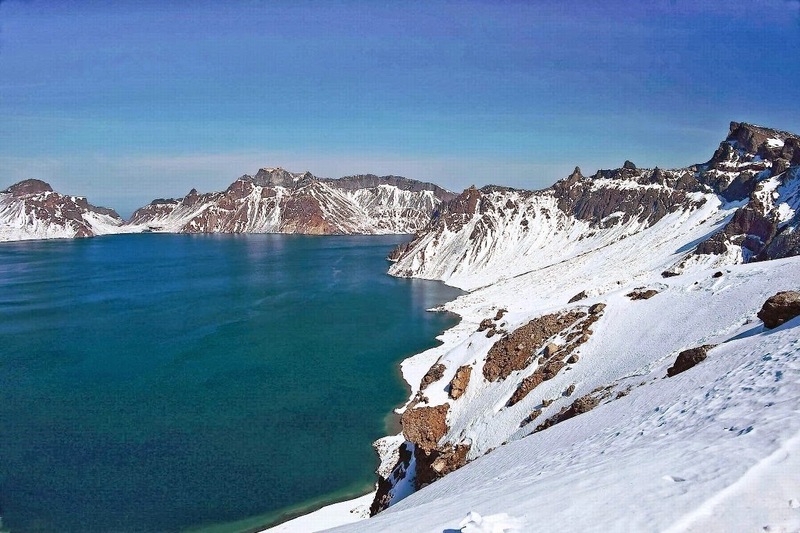 Upon his death, the Korean Central News Agency claimed that the ice on the lake cracked "so loud, it seemed to shake the Heavens and the Earth. 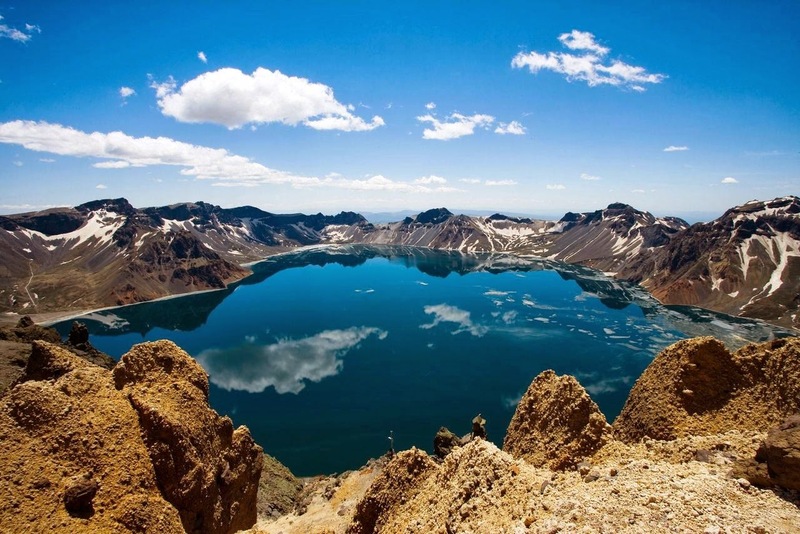 Heaven Lake is also alleged to be home to the Lake Tianchi Monster.